A city is hit by an epidemic of “white blindness” that spares no one. Authorities confine the blind to an empty mental hospital, but there the criminal element holds everyone captive, stealing food rations and assaulting women. There is one eyewitness to this nightmare who guides her charges—among them a boy with no mother, a girl with dark glasses, a dog of tears—through the barren streets, and their procession becomes as uncanny as the surroundings are harrowing. 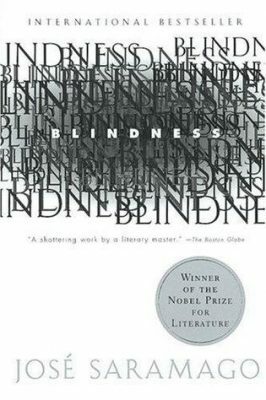 As Blindness reclaims the age-old story of a plague, it evokes the vivid and trembling horrors of the twentieth century, leaving readers with a powerful vision of the human spirit that’s bound both by weakness and exhilarating strength. This was one of my challenge books that I wasn’t looking forward too but I was pleasantly surprised and happy I chose it. The idea that you could be going about your day and all of a sudden go blind is terrifying. Unlike other science fiction books, the idea of a blindness epidemic passing from one person to the next like the flu doesn’t seem as unrealistic as aliens coming to earth or zombies taking over. Reading this book is frightening because you imagine what you would do if this happened to you. I found myself wondering what I would do and how I would survive. I have to say the writing style took a while to get used to. There is not much punctuation, a lot of run-on sentences, it is hard at times to realize who is talking but after you get used to it you realize it helps to emphasize the panic that goes along with the story. 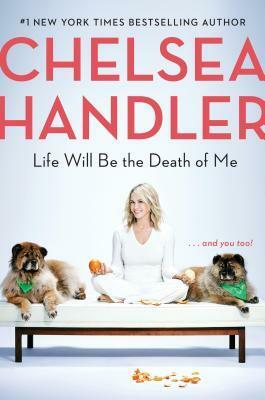 This book not only perfectly captures the disarray that comes with something as unknown and frightening as sudden blindness but also captures the beautiful side of humans who would not otherwise come together fighting to stay alive. At times it is disturbing, at times it gives you hope, at times it scares you. Definitely worth the read.